We don't normally have much trouble distributing reviews around here. I only got the honor by virtue of having been the first of us to order it--we ALL ordered it. So yeah, Devotion is the work of Brave Mysteries veterans and more-or-less newlyweds Troy and Dani Schafer, also known for work in ensembles like Kinit Her, Wreathes, and Wormsblood. In Love We Stand Alone is absolutely among our favorites of their work (which is a muddled mess of "wait but this album is priceless too") and features all of the slight strangenesses, originality, and beautiful sense of melody we've come to expect from their other projects--with an emphasis on the beautiful and enrapturing. Troy and Dani embrace us with the kinds of tunes that stick in the mind and yet continually receive a welcome. Like Kinit Her's nearly simultaneous album The Poet and the Blue Flower (from which we premiered a tune here), In Love We Stand Alone heavily features harmonic masses of violin work, here mixed with more of Troy's acoustic guitar strumming and lush horn arrangements. 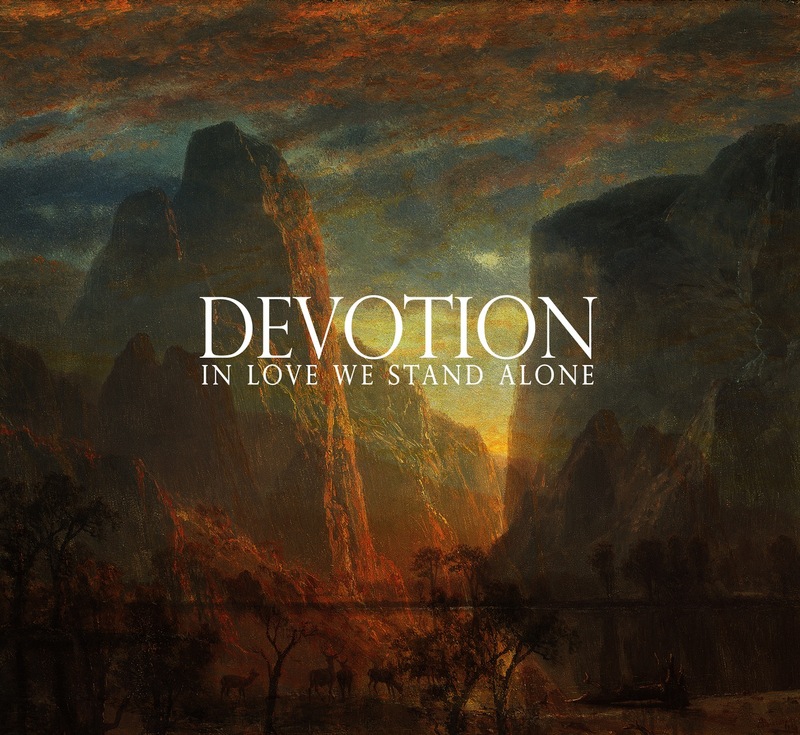 Featuring Dani more prominently as the main voice helps Devotion find a place as the "beautiful" one of the twins, but extended violin technique and occasional forays into microtonality mean the engaging songwriting also holds on to the adventurous. Nathaniel Ritter of Kinit Her appears in the final track, working under his Circulation of Light name to bring huge keys and organ in a fitting ode from a close friend to the pair's marriage. It's one thing to know people who are as beautiful human beings as Troy and Dani Schafer; it's a world of blessing that they're capable of putting that into their music and sharing it with the world. Labels: 2013, Devotion, Neofolk, Review, V.